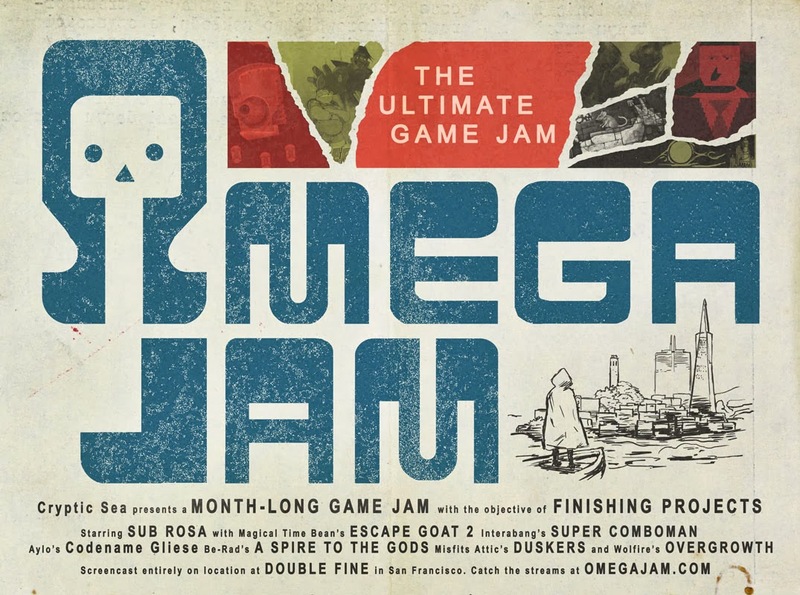 Omega Jam is a month-long game jam where 6 teams of indie devs try to finish current projects. My goal is to finish an alpha of Sub Rosa with all the new features. The idea goes back to the first 7 Day FPS game jam, David Rosen and I were at the IGN Open House during that week, he made Receiver and I made the prototype for Sub Rosa. We both accomplished a lot during that week, and thought about doing something like that but trying to finish games instead of starting new ones. The question was how to organize it, and how long should it be. A month seemed like the perfect amount of time, enough time to get a lot done but still having that pressure of a game jam. A few months ago we got in touch with Double Fine who had some extra office space and were willing to let us use it, and the idea finally started to come together. It should be interesting, it's already been useful being able to bounce ideas off each other, and having that extra motivation of working around really dedicated people. In the end it will be the games that decide whether it's a success or not, I think there will be some really cool things that come out of it. Does this mean the next hockey build is at least a month away? No, we're pretty close to having a new build ready, just have to fix/add a few more things. Dude, I'm seriously pumped for the new Subrosa. My roommate and I play all the time and a bunch of us played it together in our school's computer lab. Keep it up! Will Sub Rosa be in Steam?